I Have Tasha Alexander Covered! I'm at it again. (Now why do I have the feeling that none of you are surprised?) 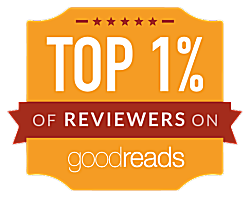 The author I chose for this week's comparison was chosen with an ulterior motive. 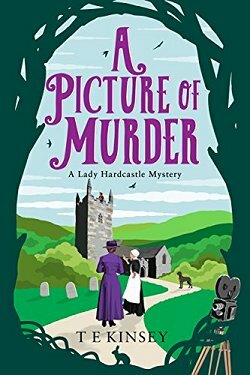 I have yet to read one of Tasha Alexander's Lady Emily Ashton historical mysteries, but the book covers are always catching my eye, and the author has appeared several times at The Poisoned Pen. To top it all off, I just read the synopsis of her first book, and now I know that I definitely need to do more investigating! But let's get to the task at hand. 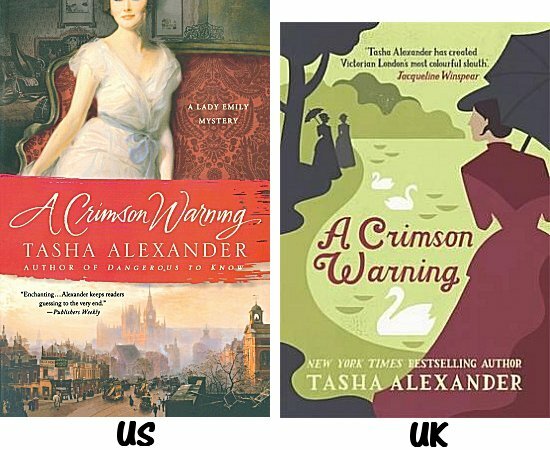 I've selected the US and UK covers of one of Tasha Alexander's books so we can compare them. Let's take a look! Other than the fact that both covers have women on them, they are very different, aren't they? Some of you may remember a few of the things I dislike seeing on covers. Things like excessive blurbing, the back of a woman's head, or only a partial woman's face. Looking at these two, they both have blurbs, and they have both the back of a head, and a partial face. Yikes! Yes, both covers have elements that I don't like, but I do prefer one more than the other. The cover I don't like? The UK entry. About the only thing I do like about it is Jacqueline Winspear's blurb. I don't like the fonts used, I don't like the minimalist (almost cartoonish) artwork, and the colors look dull and muddy. This is not an appealing cover. Well, all righty then! Nothing like being blunt, is there? 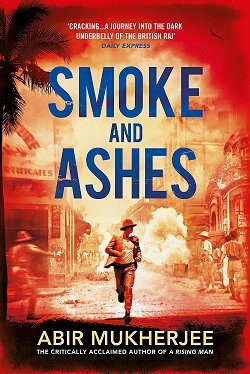 On the other hand, the US cover does catch my eye. It's that broad red brushstroke that divides the cover. Then the darker red of the sofa on the top half has my eye moving up, and once I stop trying to guess the time period of that woman's gown, my eye moves down to the bottom half. That London street scene really interests me. The US cover is at once lush and intriguing. It catches my eye, and I would pick up this book to find out what it's about. What about you? Which cover do you prefer-- US? UK? Neither one? Too close to call? Inquiring minds would love to know! I can see why you prefer the US cover, Cathy. There are some interesting depths and so on to it that you don't see in the UK cover. It bothers me that the top of the head is cut off in the US cover. It looks like a mistake or a bad photo. Reminds me of lining up the relatives, taking the photo and the heads aren't totally in the photo but there is a lot of grass by their feet. She is sharing half of the cover with London and it is too busy. On the other hand, I don't care for the UK one either pretty much for the reasons you wrote about. 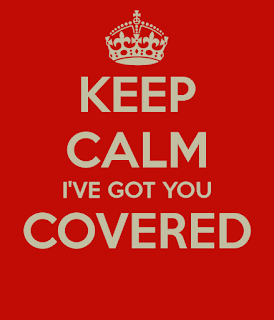 So I guess I would have to say I do not care for either cover. I just looked at some other Tasha Alexander covers and it looks like others have similar covers. I guess I haven't seen many half head covers before. Well, I still don't like it and it may be my least favorite thing on cover art. (more than blurbs, cartoon covers etc) I also saw another author who write similar books had half heads on her cover too. I think there are some publishers out there who think, if they leave most of a woman's face off the cover, female readers will imagine themselves in her place. It must work because they keep doing it. Or if they show the woman from behind. I am SOOO tired of women's backs on book covers. For that reason alone, I'd reject the UK cover. I agree that the US cover is quite (too?) busy, but it still catches my eye and intrigues me enough that I'd probably pick it up. Have you noticed though that you usually only see men on the covers of bodice rippers? "Men's books" usually don't have people on them at all, unless they're biographies. I've read several of the books in this series and I like it. I'm not caught up, but probably about halfway through it. 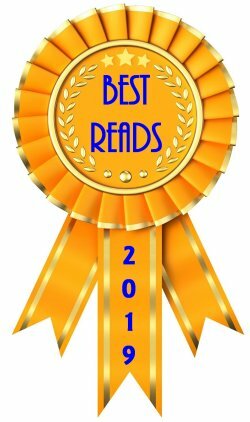 Have you read any of Deanna Raybourn's series that is kind of like it? I bet not. I like that one too. Sí sí, I see. (Sorry, couldn't resist.) When I read a book, I don't give two hoots and a holler about what the people look like on the front-- although I do not agree with putting Caucasians on the covers of books where minorities are the main characters. I don't like that word "minorities" because there's nothing minor about being black or Hispanic or Asian or.... Nothing whatsoever, but I'm running a bit late in getting ready to go see Craig Johnson so I'll run with it. I mostly wanted to say that I don't care if the book cover folks don't look like the ones I have pictured in my mind. It's not all about me. American by far. The British cover is boring in the extreme. I've read a couple in this series and enjoyed them. Okay, the recommendations are piling up. Gotta get my hands on the first book in the series! I really don't like to see women with their heads cut in half. It reminds me of Mary Queen of Scots. Why can't we see a full face on that cover? The I'd be OK with it. The British cover doesn't bother me too much, but I don't like women's backs either or the muted colors. What if they did it in bright colors? I don't understand publishers' thinking on cover designs. Do we just get to see partial women or brutalized women of corpses of women. Bizarre. I'd like to see healthy women on covers. Anyway, I agree with you on "minorities." Nothing "minority" about any nationalities. There are entire continents of people, not to mention religions like 1.6 billion Muslims in the world. I read on a blog the term "special interest groups." And I thought but these groups represent millions of people, by nationality, gender, gender identify, country of origin, religion, etc. Not "special interests" at all, just part of the human race by the millions. Comes from millennia of a lot of people being "put in their place," and it stinks. Angela Savage made a point, after listening to a writer defend saying whatever she wants to, without facing the consequences of people walking out of her and being offended. Angela said that the privileged, when faced with equality, feel oppression. True, from I've seen in the real and virtual world. Yes, it is-- and a sad commentary on our species. "Interesting comparison. Initially I agreed with you. The UK colors are certainly unusual and dark while the art is minimalistic. The U.S. cover has a lovely scene in the lower half, though a bit too busy and small. But the more I looked at them the more I preferred the UK cover. The title nicely links with the color of the lady's dress. It intrigues me- is she the reason for the warning? For the U.S. cover, why on earth would any designer cut off the top of someone's head? And you thought it was bad to show the back if a lady's head. Isn't it worse to chop off the top? Much too much going on. The slash of color must be the latest style as it seems to appear on a lot of covers lately. Lately I went shopping at the Book Depository. Amazing variations of covers for the same book. See, for example, a wide selection of covers for Griffiths Woman in Blue. Great prices! At one point the prices were so good I could choose which cover I liked best. As in this case, most of the choices were between a cover with line drawings vs. one with a nice photo. I went one way with one book and the other direction with another. Such delicious decisions to make!" Kathleen, you bring up some interesting points-- and you *almost* won me over to the UK cover!